OLD PARKED CARS. 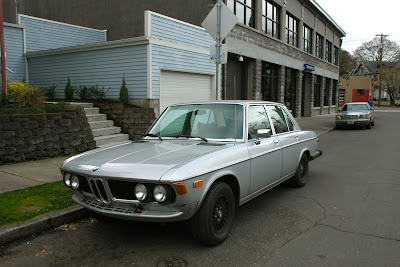 : 1977 BMW 3.0Si. 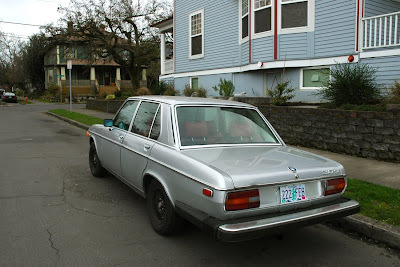 Had no idea these made it to 1977, I figured the E12 replaced it .. what a rare beast. What great cars. Solid, fast, comfortable, great subtle styling. 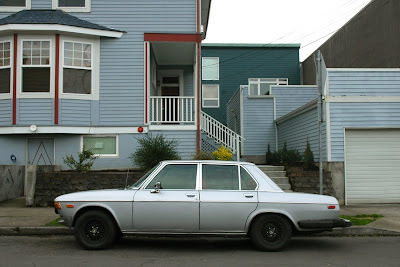 A car for the aristocracy. 1976 was the last year for this model in the US. This car exhibits the kind of self-assured stoicism that today's man should look for in an automobile. I was going some googling and stumbled upon this picture. Turns out I currently own this specific car now! It's been a fantastic car. Upgraded the sway bars but left everything else stock. 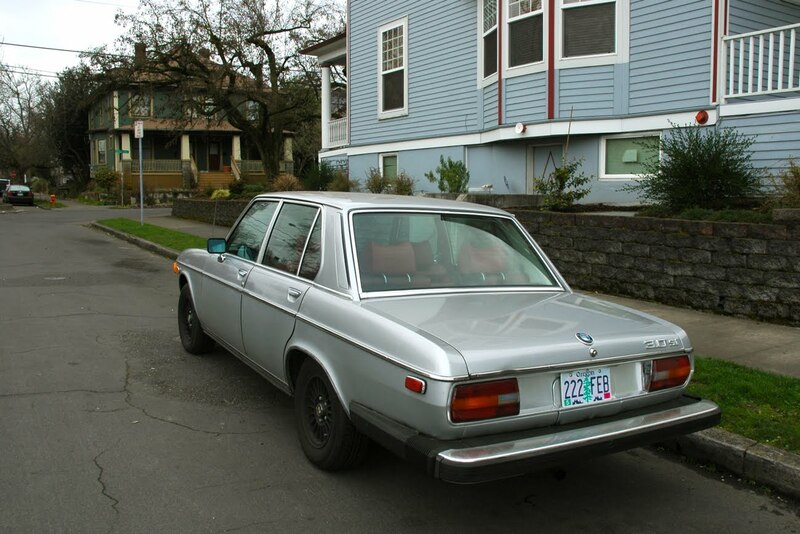 I have too many cars and this one might be for sale. Anyone interested?